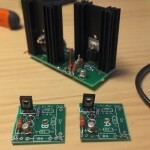 When I ordered my Bottlehead Crack kit, I also ordered the Speedball upgrade right away. Everybody that tried it, including reviews, said it was a night and day difference from the default Crack setup, and that you basically had to upgrade it. So of course I wanted to hear that for myself.Â Bottlehead recommends building the default Crack and make sure it works properly before moving on to the Speedball upgrade, so this is why I have done so. In the late 80s and early 90s, virtual reality was one of the most promising upcoming new technologies. There was a promise of amazing experiences in exhilarating virtual worlds, and consumers were more than ready for adventures that would blur the border between game and reality. Even the film industry was interested in the idea, which led to cult classics such as The Lawnmower Man and Johnny Mnemonic. 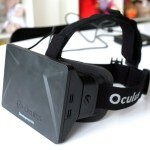 Oculus Rift Crystal Cove – CES 2014 (1080p AMOLED). 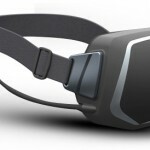 Picture: Polygon.com Since I my review of the Oculus Rift development kit, Oculus Rift has demonstrated another awesome prototype that deals with problems I didn’t expect anyone to solve this soon. 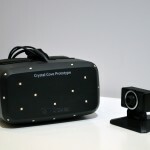 Â The prototype is called Crystal Cove and 1080p AMOLED (ultra fast) Low persistence 6 DOF tracking via camera Much less latency overall Low Persistence With low persistence Oculus VR and Valve has solved one of the biggest issues with the current development kit or actually with VR googles in general…. You often hear people describe their first encounter with Oculus Rift as an almost life-changing experience, or at least a true next-gen experience. There are countless videos on YouTube with people testing Oculus Rift, with their jaws hanging down their chest, or just screaming like a little girl while trying the Rift Roller Coaster. It’s hard not to jump aboard the hype train when watching these videos and reading all positive things said about Oculus Rift. 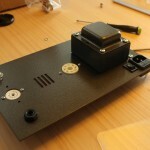 This is the first part of the Bottlehead Crack build. 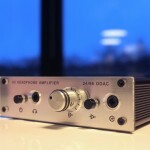 In the following parts I will show how I made my Bottlehead Crack amplifier and maybe even give you some inspiration for your own DIY projects. 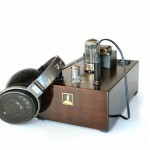 Bottlehead Crack is an OTL tube amplifier for high impedance headphones. 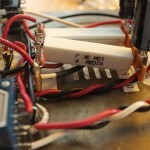 OTL means that it’s an Output Transformer less design. The output transformer in a tube amplifier causes a lot of distortion because it’s located directly in the signal path.